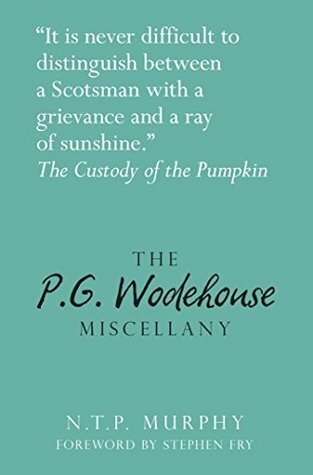 I read this one in the course of a lunch hour which I attribute both to its brevity and the fact that almost every page had some interesting fact or supposition about Wodehouse's work. The biographical information was superficial but still enjoyable (did you ever wonder exactly how many aunts and uncles Plum had? It's here :-) I particularly enjoyed reading about the real life inspirations for PGW's most famous characters. I knew about the Psmith/D'oyly Carte connection already but many of the other suggestions, especially in regards to Bertie Wooster, were all new to me. And there's a photograph of the pig that inspired the Empress of Blandings! Even the most casual fans of Wodehouse - if such a thing exists - will appreciate this book.